Our state of the art 21st century keypad quiz powered by Redtooth quizzes starts weekly at 8pm with our warm up section. Then we start our 7 category quiz at 8:30pm prompt. 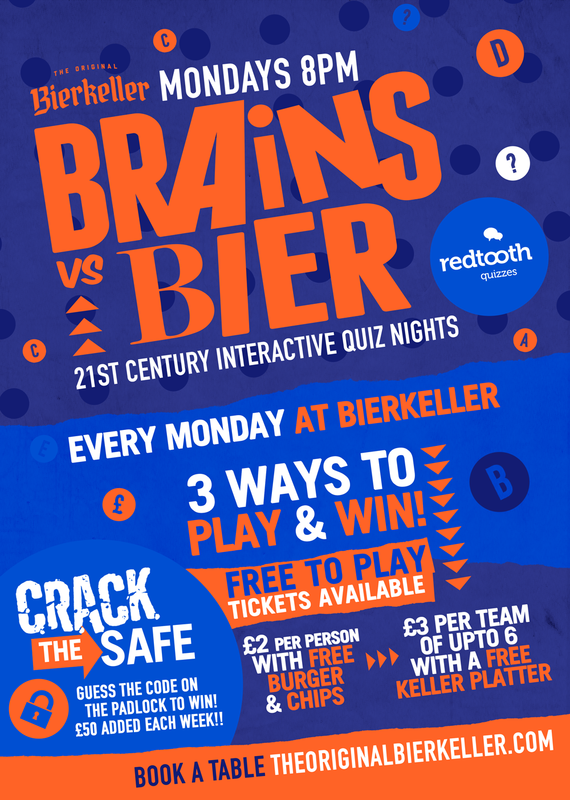 A bonus game played at the end of the quiz for just £1 get the chance to crack the safe. Maximum 6 players per team.